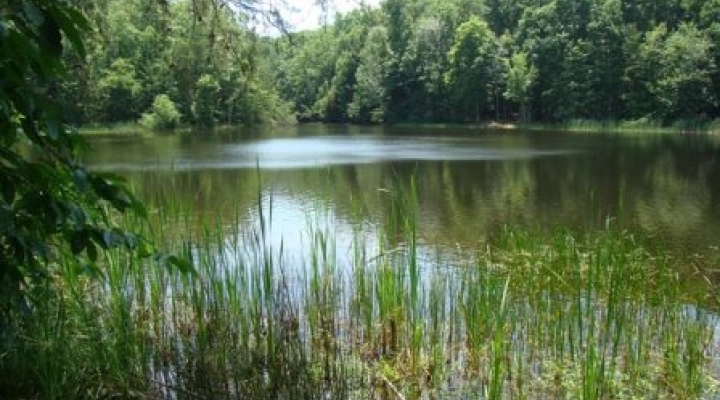 A 1,700 acre natural area and wildlife refuge nestled in the Knobs Region of Kentucky, Maywoods is located 22 miles southwest of Eastern Kentucky University's (EKU) Richmond campus and straddles parts of Garrard and Rockcastle Counties. 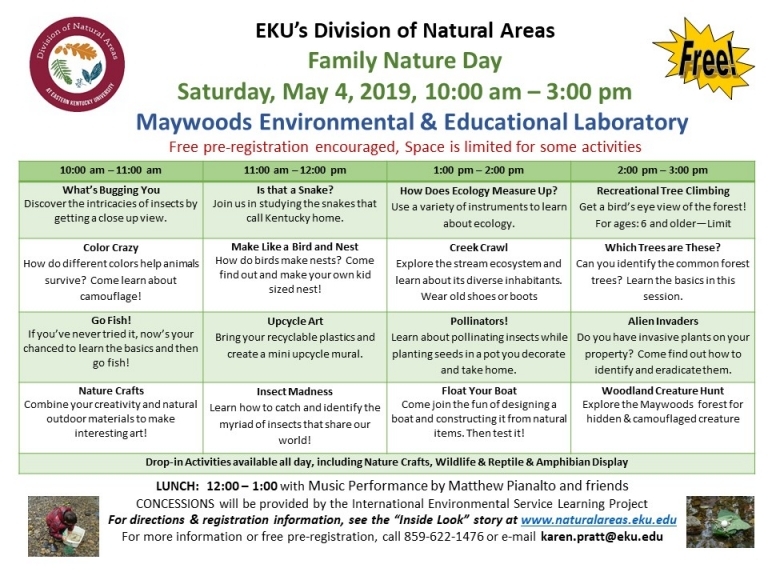 As EKU's Environmental and Research Laboratory, the facility provides research opportunities for the University's students and faculty, as well as environmental educational opportunities for the University community, surrounding county schools and community groups. To provide teachers and environmental educators, formal and non-formal, resources to enhance their group's experience at Maywoods, the Division of Natural Areas has developed a Leader's Manual and educational activity kits. 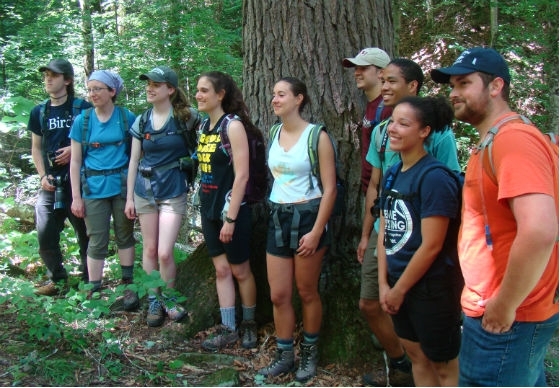 The Leader's Manual is designed to help all group leaders have a successful and enjoyable outdoor, environmental educational experience with their group at Maywoods. The Activity Kits are available for teachers and other environmental/outdoor education leaders to use during their Maywoods' visit. Each kit is design to explore one of Maywoods ecosystems.